Miyamoto Musashi, arguably the most famous swordmaster in Japanese history, fought more than 60 duels before retiring and writing his famous treatise on swordplay, the "Book of Five Rings". 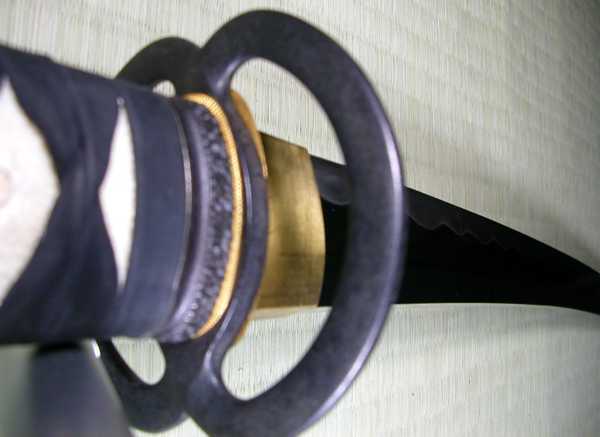 Development of the two-sword style of swordplay, with the Daito (long sword) and Wakizashi being used together, is credited to Musashi. 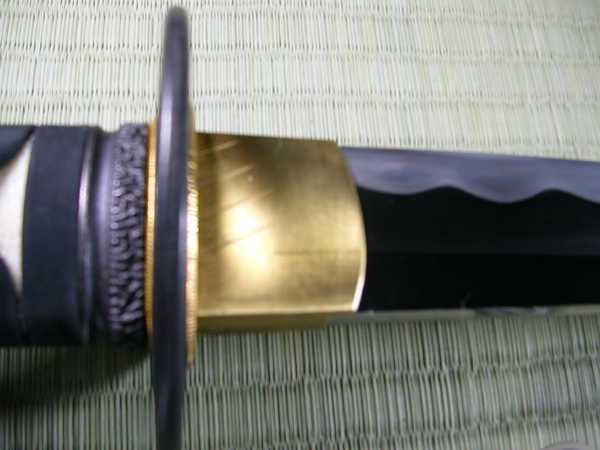 Mounted in black, the Musashi is faithful to the original down to the famous double-ring iron tsubas. The tsuka-ito is in leather over ray skin. The blade is hand-forged in high-carbon steel, with new geometry to enhance cutting ability. It is edge-tempered using the traditional clay tempering method, resulting in a distinct hamon. Edge hardness is HRC60, back hardness HRC40. 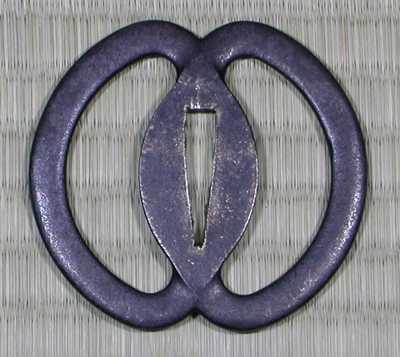 The golden menuki are of Musashi's hat and oars relating to the famous duel at Ganryu island, where he defeated Sasaki Kojirou with only a boat oar. The grip is double-pegged to the tang for safety. Supplied with a protective cloth bag and traditional maintenance kit. Fully functional live blade Shinken Katana "real sword"